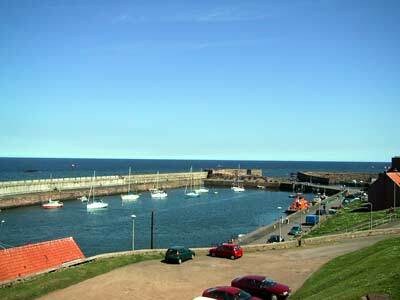 Whatever was left of Dunbar Castle was destroyed in the 19th century to build a harbour, but it nevertheless remains a very picturesque and bracing spot to visit. 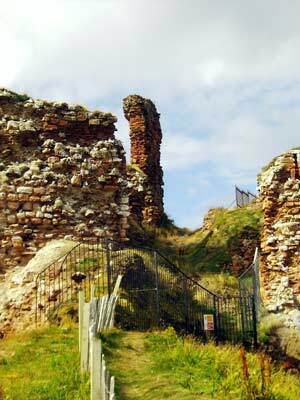 There has been evidence of a settlement here since the Iron Age period and the castle played an important defensive role against English invasions in the 13th century. It became a Royal possession in 1433 and was much extended by Mary's mother, Marie de Guise between 1550 and 1560. Surrounded by a small fishing harbour, the ruins of what used to be one of the most important castles in Scotland, are now out of bounds and thronged with nesting seagulls. The connection with Mary, Queen of Scots is very strong as she came here following some of the most turbulent times of her life. This is where, on Monday 11th March 1566, two days after the murder of Rizzio at Holyrood Palace carried out by the Lords of the Congregation and instigated by Mary's husband Lord Darnley, she escaped to after a 5 hour ride on horseback despite her condition. Mary was heavily pregnant with Darnley's son, who would later become James VI of Scotland. The cowardly Darnley, who had quickly begged his wife's forgiveness for the murder and feared the consequences of his betrayal of the Lords, rode on ahead showing little concern for Mary's welfare. 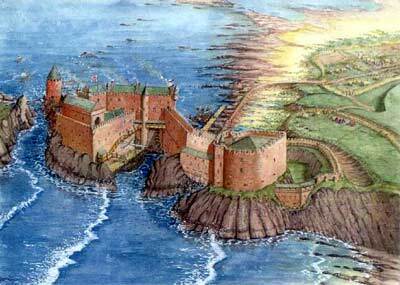 Mary rallied her supporters at Dunbar and made a triumphant return to Edinburgh a week later, when the murderers fled to England for safety. 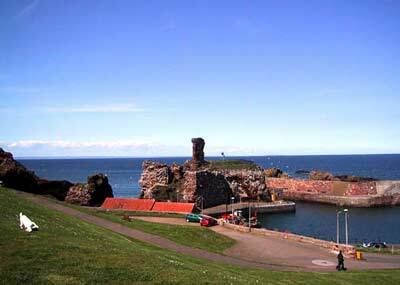 Mary returned to Dunbar Castle on a progress in the autumn of 1566. 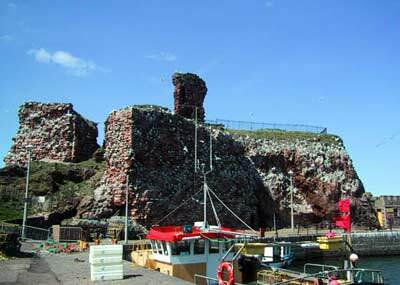 More importantly though, Dunbar Castle is the place where Bothwell brought Mary when he allegedly abducted her on 24 April 1567 on her way back from visiting her son at Stirling. 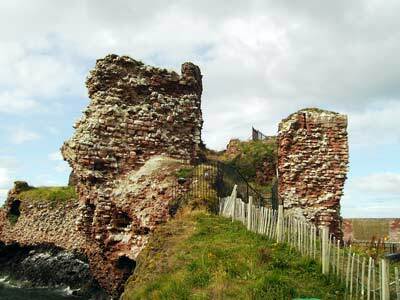 At Dunbar, Bothwell is said to have forced himself upon Mary to put her in a situation where she would have no choice but to marry him in order to save her honour. Mary and Bothwell were married on 15 May at Holyroodhouse in Edinburgh. Those who were sympathetic to Mary promoted the version in which the power-hungry Bothwell, the instigator of the murder of Lord Darnley, rapes the already weakened Queen and seizes the opportunity to raise himself above the rest of the nobility. Mary's detractors on the other hand, maintained that Mary was not raped but that she colluded with Bothwell to present a story, which would make it acceptable for her to legitimise her illicit affair with her husband's murderer. The truth perhaps lies somewhere in between. When the Casket Letters (which are generally accepted as being forged) were recovered, a marriage contract signed by Mary on 5th April 1567 was found. On the evidence of other letters written to Bothwell by Mary shortly after, it would appear that Bothwell had informed Mary of his intention to "abduct" her and persuaded her that marrying him was the best thing she could do to regain her waning power. Mary was at a very low ebb at that point and agreed to go along with the suggestion of a man who had always shown himself loyal to her and her mother, and who wielded tremendous authority in Scotland. The "abduction" and subsequent marriage were in short no more than a last desperate attempt to reinstate Mary, a plan which backfired irrevocably. The Scottish nobles who had originally agreed to the marriage of Bothwell and Mary by putting their names to the Ainslie Bond, had quickly changed their minds again as they were wont to, and signed yet another bond pledging to overthrow Bothwell. 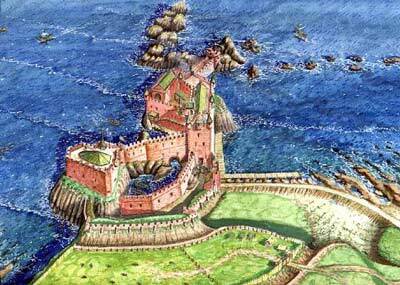 Mary and Bothwell managed to escape from Borthwick Castle where they were surrounded, and to return once more to Dunbar Castle. They mustered troops which confronted the nobles at Carberry Hill on 15 June 1567, resulting not in the reinstatement of Mary in exchange of her surrender, but in her imprisonment for almost a year at Lochleven Castle. 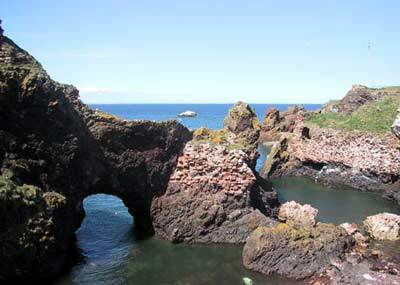 Bothwell was allowed to go unhindered that day as part of the bargain, and he fled to Dunbar Castle one last time. Having failed to rally further support for Mary's cause he set off for Orkney to meet his death years later in a squalid prison in Denmark. 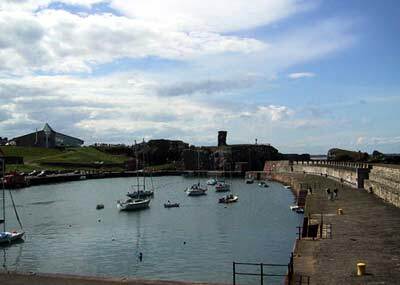 The harbour is open all year but the castle itself is fenced off.